The millstone around the neck of grindcore, if one considers it in its truest sense, is that it cannot be technical. Millstone, because grindcore’s simplicity is its selling point, yet its cross to bear, too. Many bands over the years have tried to bring cryptic playing into the mix, but one can’t help feeling that in the process the music loses something of the brutal spontaneity crucial for the reaction it seeks to elicit. Certain styles of music are evolutionary dead ends; one can’t fault bands for trying to stay musically relevant while walking an ideologically committed tightrope, but it’s an exceedingly precarious path to follow, and for every Discordance Axis or Swarrrm, you have a band veering off into mathematically abstract territory. Cognizant on this short debut, however, walk that tightrope with some dexterity. In all honesty, they borrow as much, if not more, from technical death metal, as they do from grindcore; grind, in fact, is referenced only through its avalanche-like forward momentum and a preponderance of short, repeating phrases, but as abstruse as some of these technical maneuvers may seem on first listen, it is self-evident that they are also true compositions in their own right, not just a collection of bookending motifs with a lot of blasting filler in the middle. That first listen invokes somewhat suspicious comparisons with modern bands like Ulcerate, but try to gather a roomier, more impressionistic view of the music, and a definite cohesion gradually reveals itself. Despite the busy and intricate exterior, nothing ever really devolves into the kind of solipsistic chaos that newer bands are frequently prone to; parts are written with identity in mind, and ideas repeat just often enough for the listener to orient himself in this harsh environment. 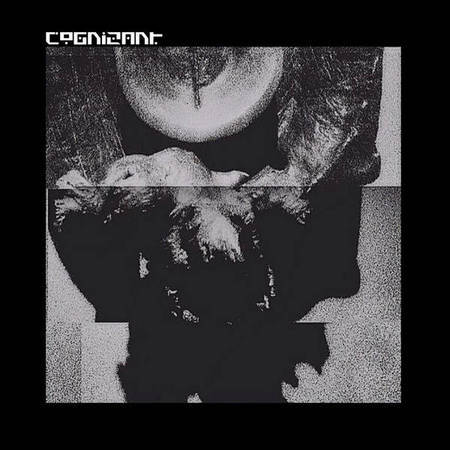 Cognizant is not without a sense of strained melody, but like many technically ambitious extreme metal albums, it is to be admired for its architectural virtuosity rather than any pronounced emotional aspect. It is to the band’s credit that they achieve this thematic unity with a maturity belying their inexperience. This entry was posted in Death Metal, Grindcore and tagged Cognizant, grindcore. Bookmark the permalink.